Sleep Number vs. GhostBed - Which Should You Choose? Home » Sleep Number vs. GhostBed – Which Should You Choose? Sleep Number vs. GhostBed – Which Should You Choose? Sleep Number and GhostBed’s producer, Nature’s Sleep, have been in the bed business for many years. They both produce many mattresses and have affordable options for most budgets. Still, there is a lot of differences between Sleep Number and GhostBed, especially when it comes to their construction. Check out our side-by-side comparison to learn more. The Ghostbed mattress is 11” and made with all foam, including a 1.5” top layer of latex foam and a 2” layer of gel memory foam. 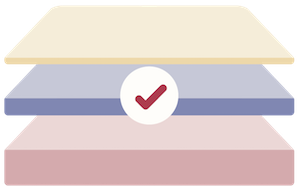 GhostBed rates their mattress a 6.5 out of 10 on the firmness scale and we consider it around a 7 out of 10 on the same scale. This medium-firm to slightly firm mattress feel tends to be a sweet spot for the average sleeper. The bed comes in a box shipped directly to your house. 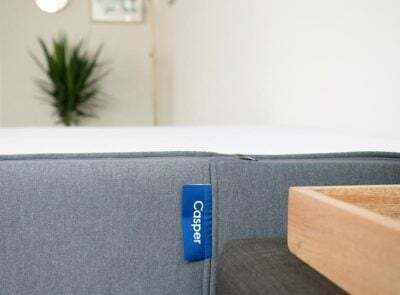 Although it is comparable in design to other bed-in-a-box retailers, because it’s from a company that has such large scale, the price is competitive, often lower than other brands like Casper. A Queen size mattress is $795. 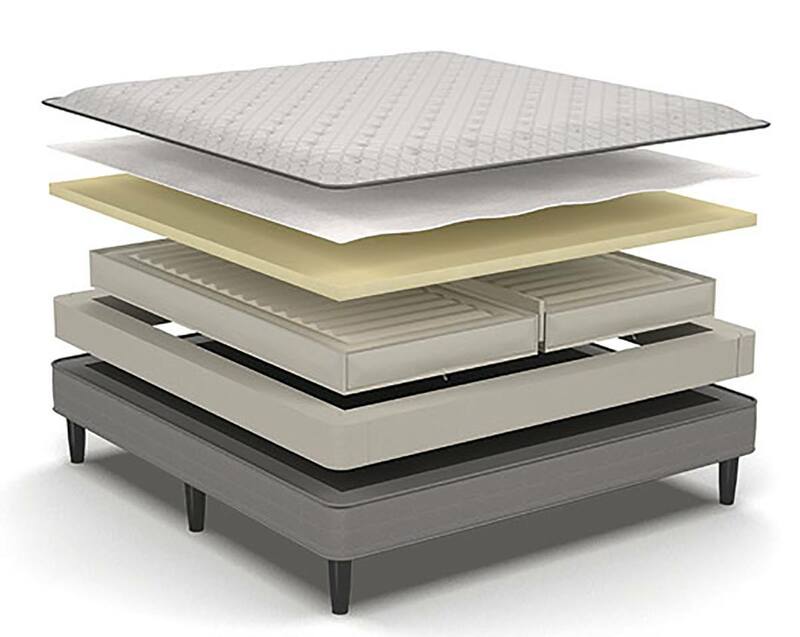 GhostBed is a product of Nature’s Sleep, a company that makes a lot of different mattresses and other bedding products, including foundations and mattress toppers. The mattress is designed and manufactured in the US and comes with a 101 night trial period. Read the full GhostBed review, here. Each series essentially builds from the other. 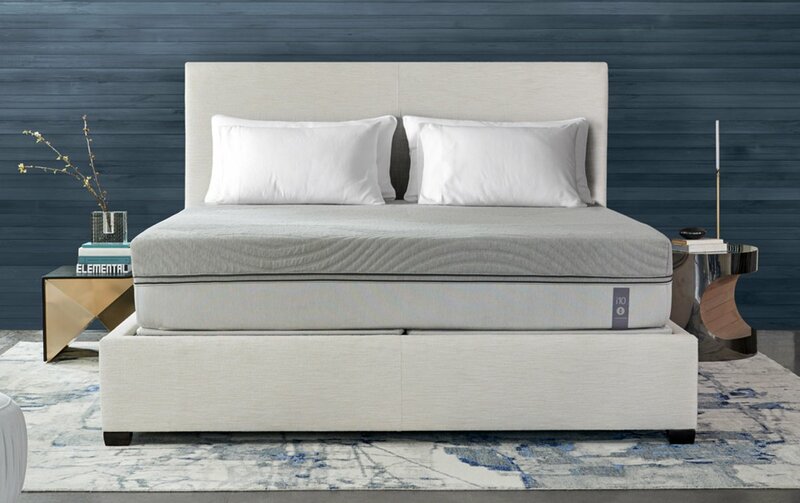 The Classic Series beds, the c-2, c-4 and cse, offer the most standard options with minimal layers between the air chamber(s) and the mattress top. The Innovation Series and 360 Smart Beds will have the largest, thickest layers and most added features. Viscose and Polyester cover: This blended cover is soft and has a bit of stretch. Although you will more likely put a sheet over the cover, we did notice that the feel of this cover is much better than most. It also unzips and can be removed for cleaning. 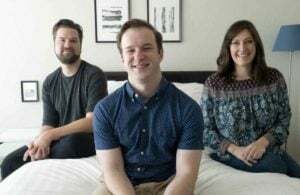 1.5 inches of latex: The latex comfort layer is popular with many bed-in-a-box mattresses because it offers slightly more spring and response than a memory foam mattress. It also keeps the mattress from sleeping hot. 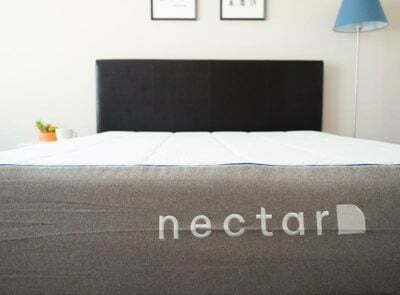 2 inches of gel memory foam: The gel memory foam layer in this mattress is a proprietary formula with larger cells that GhostBed says makes it more reactive to the body for cooler nights. 7.5 inches of core foam: Providing a base layer of support for the mattress and increase longevity. You want a firm mattress one day and a plush one the next. All Sleep Number beds come with their Dual Adjustability feature. It allows you to adjust firmness, comfort, and support on each side of the bed to your individual Sleep Number setting. If you don’t like your current setting, it’s easy to change the comfort level with the remote that comes with the bed. You’ve got money to spend on a luxurious bed. Sleep Number beds really run the full scope of basic to luxurious. The most basic Sleep Number bed starts at $899 for a Queen and can go much higher with their 360 Smart Bed series. 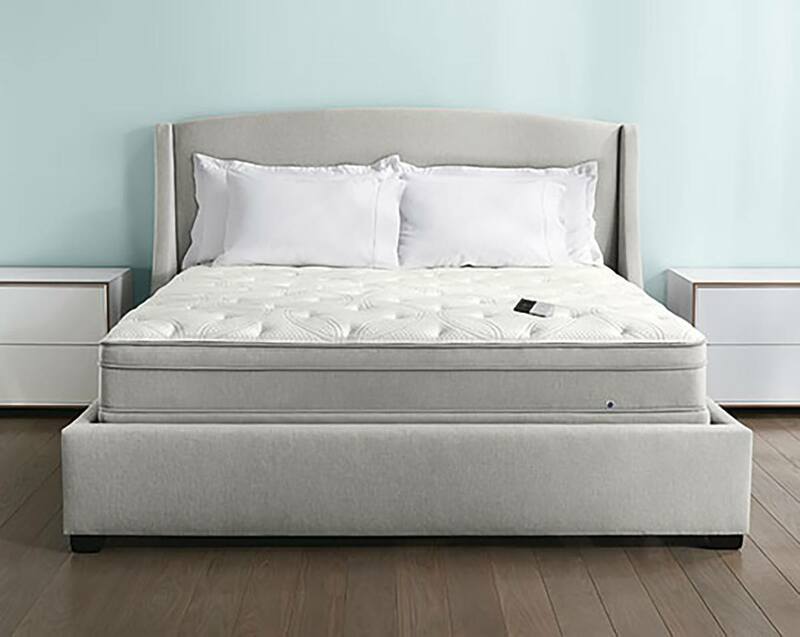 Sleep Number also has other accessories, like FlexFit Adjustable Bases or sheets, that you can buy to complement your mattress. If you have the means, you can go all out on both the air bed and on their adjustable bases and other extras. You want to try it in person. Sleep Number has been around for a long time and has showrooms across the country where you can go and test out different mattresses. They’ll even walk you through finding your personal Sleep Number and make suggestions on the type of mattress that could work for you. You’re looking for great value. Even compared to other popular online mattress companies like Casper, we think GhostBed offers great value. 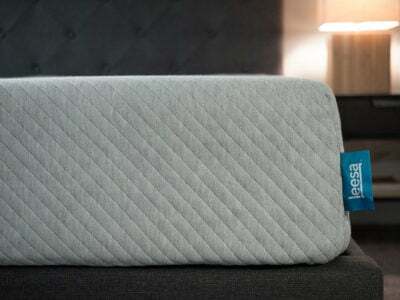 GhostBed is made by a larger company that produces high volumes of mattresses. 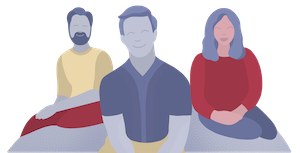 This scale allows them to sell an equally good quality bed at a better price (plus other online-only business advantages). You like foam but hate sleeping hot. The top layer of the mattress is latex, which aims to help you sleep cool. In addition, the gel memory foam layer is also made with a proprietary formula that promotes breathability as well. One reason why people tend to like Sleep Number beds is that you can adjust the firmness and support of your mattress (or your side of the mattress) at any given time using a remote that comes with the bed. Sleep Numbers are personal to you and can change when your sleep needs change. The model you choose will also affect your firmness and support. 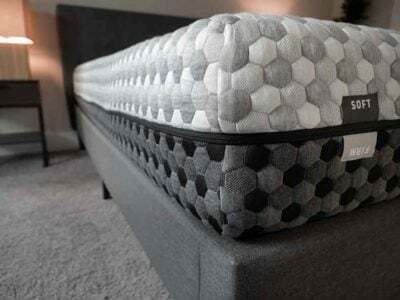 Picking a model with plush layers between the mattress top and the air chamber will feel different than a more standard model. For a foam mattress, the GhostBed bounces back fairly quickly due to the top layer of latex. The extra spring is enough to make sure you avoid that “stuck” feeling that is common with memory foam mattresses. The firmness is about a 7 out of 10 (GhostBed rates it as 6.5/10), which is right in the sweet spot for the average sleeper. Based on our experience, we think that the firmness allows the mattress to be comfortable to sleep in any position. It felt the best on our back, but also worked for side and stomach sleeping as well. This makes it a good option for people that sleep in multiple positions throughout the night, or for couples with different sleeping positions. Those on a budget may be able to find options with both Sleep Number and GhostBed, so it may come down to whether you prefer air beds or foam mattresses. Sleep Number’s adjustability makes it ideal for couples who have different sleep preferences. 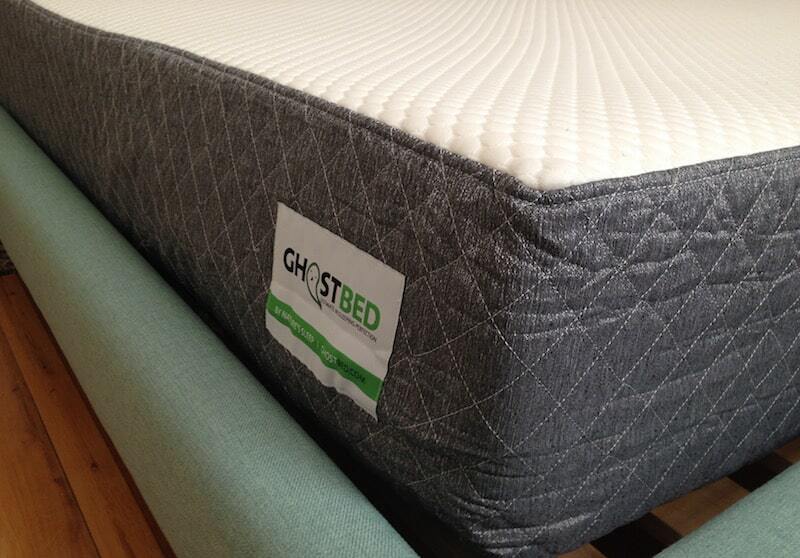 Meanwhile, those who like slightly firmer mattresses and want to keep things simple may enjoy GhostBed. Fortunately, both come with at least 100 nights to try the beds and mattress out.